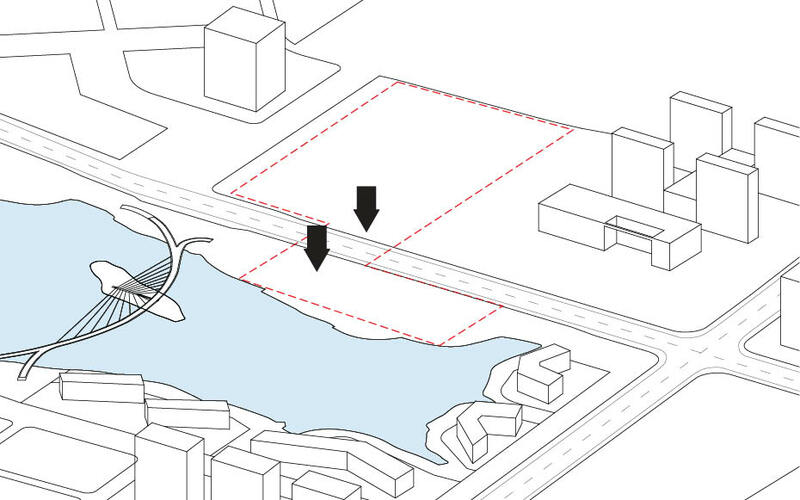 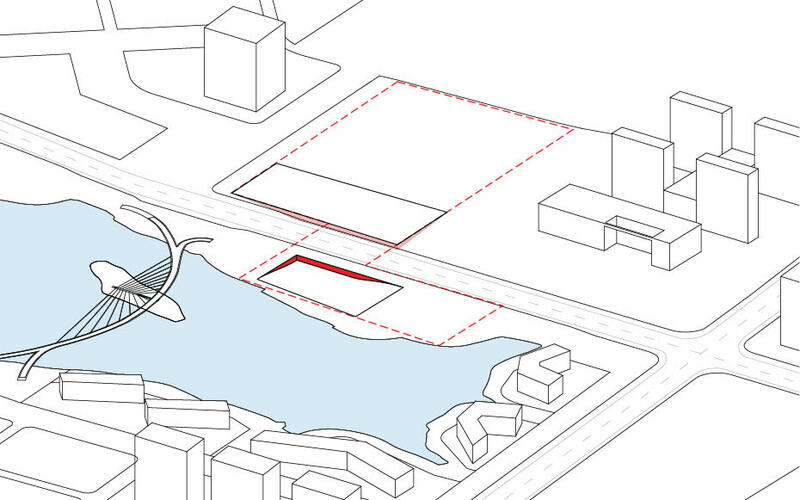 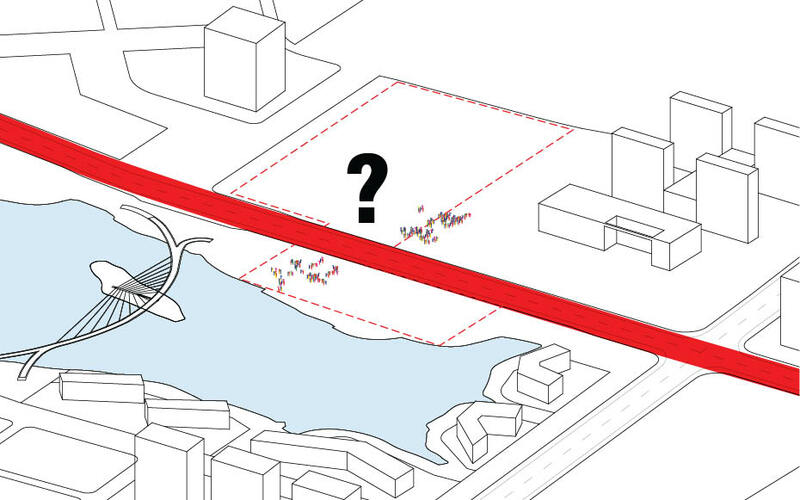 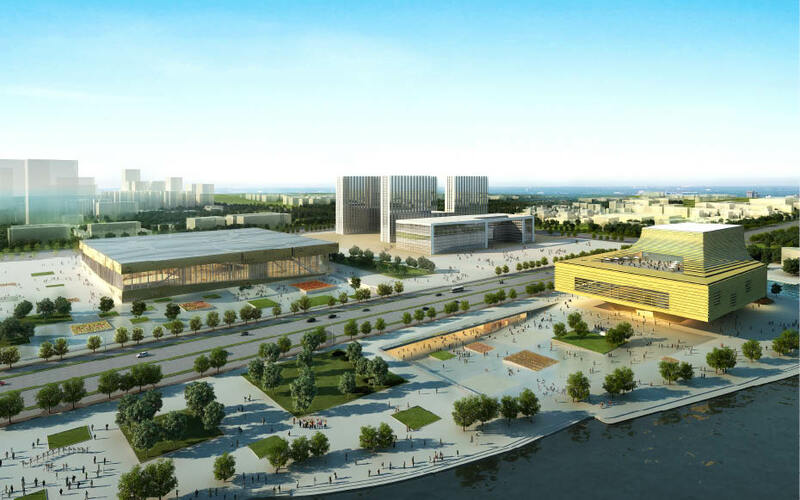 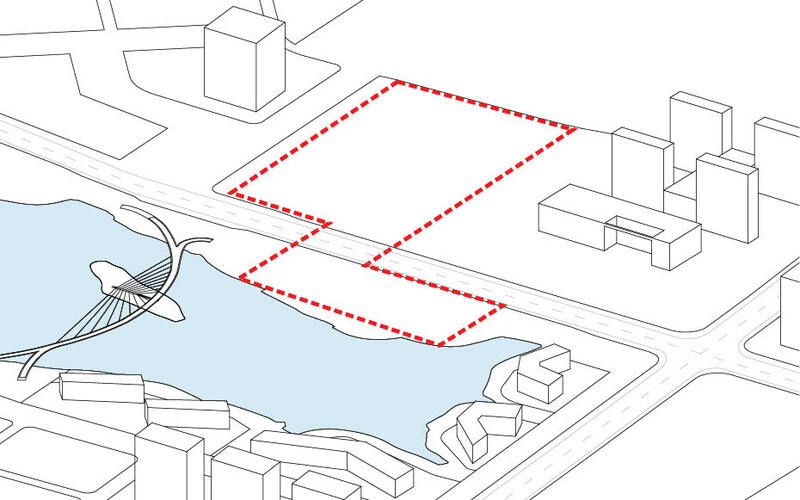 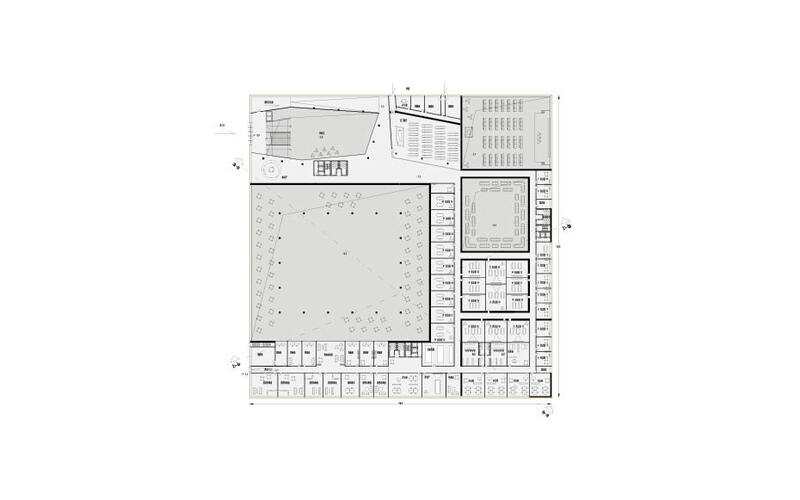 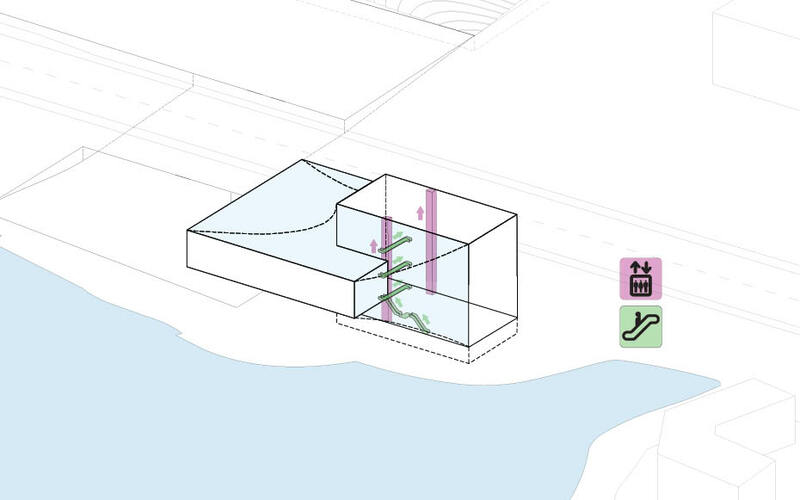 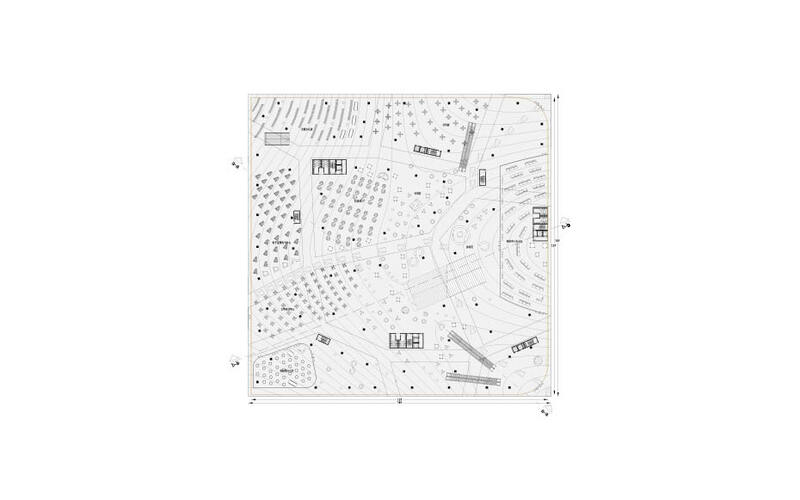 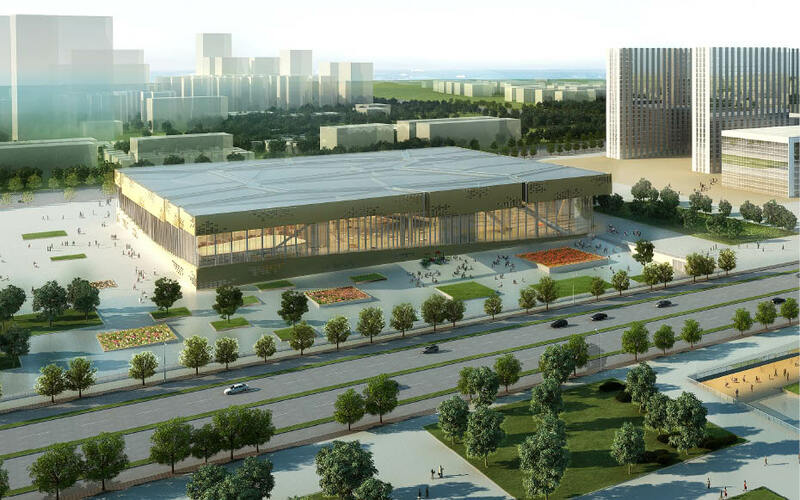 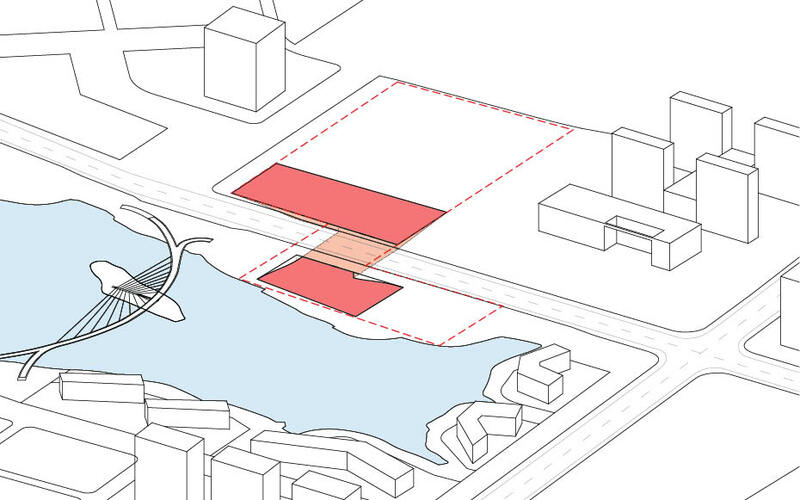 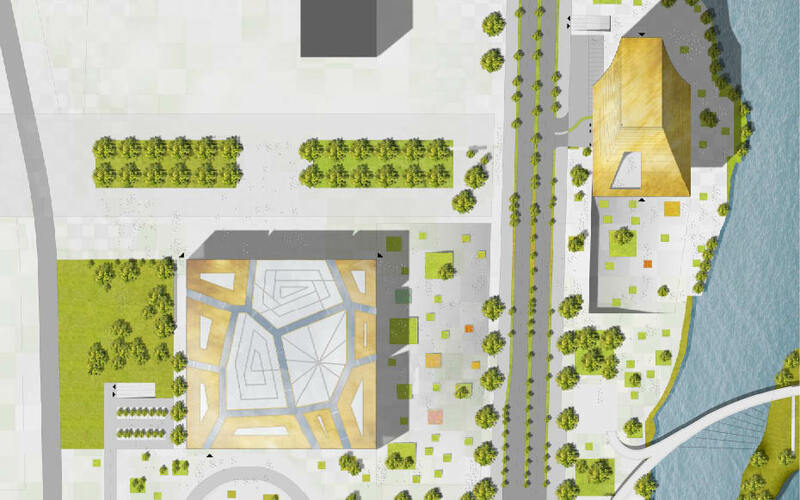 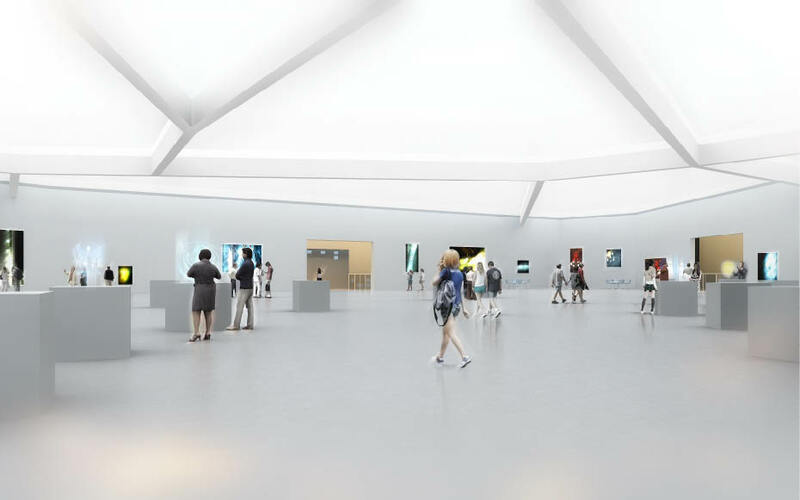 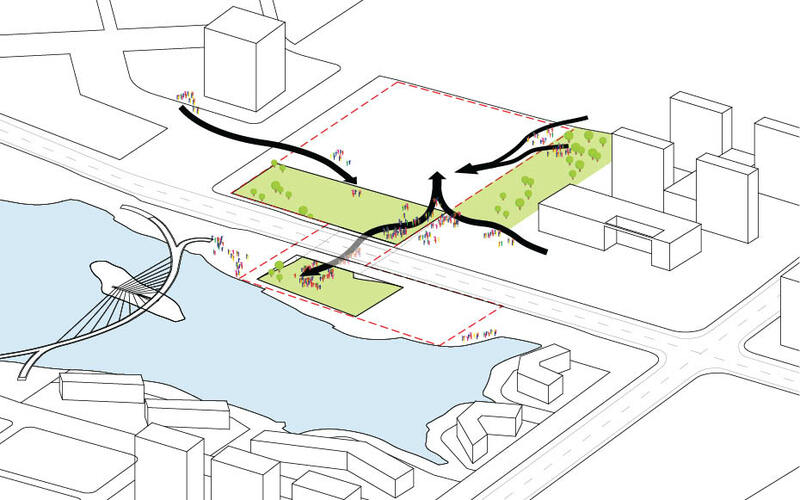 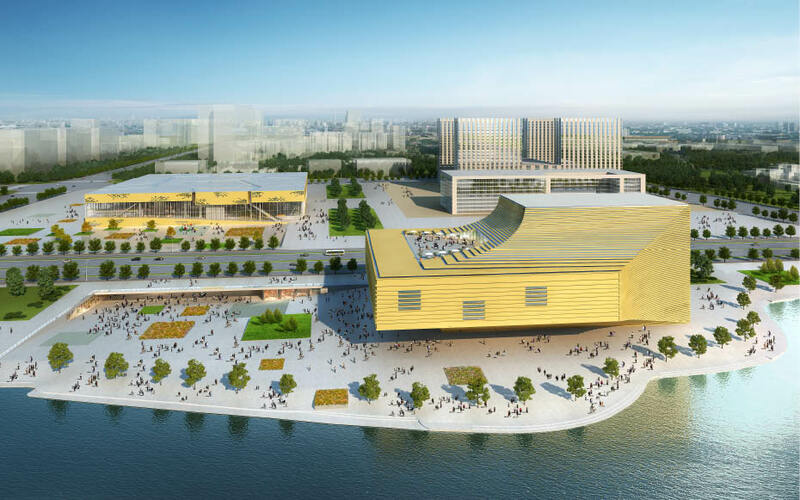 In this new cultural project for the city of Hangzhou, we propose to ramp the ground on each side to create a tunnel under the road, connecting the tree boulevard, the new cultural complex and the municipal centre to the lakefront promenade. 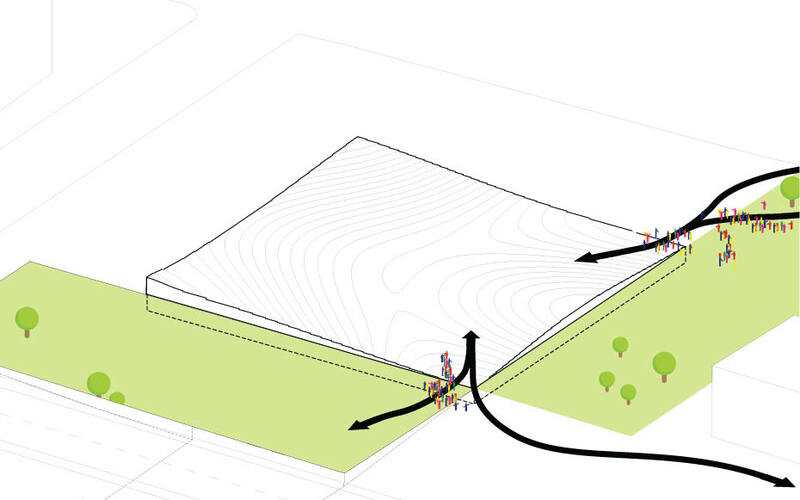 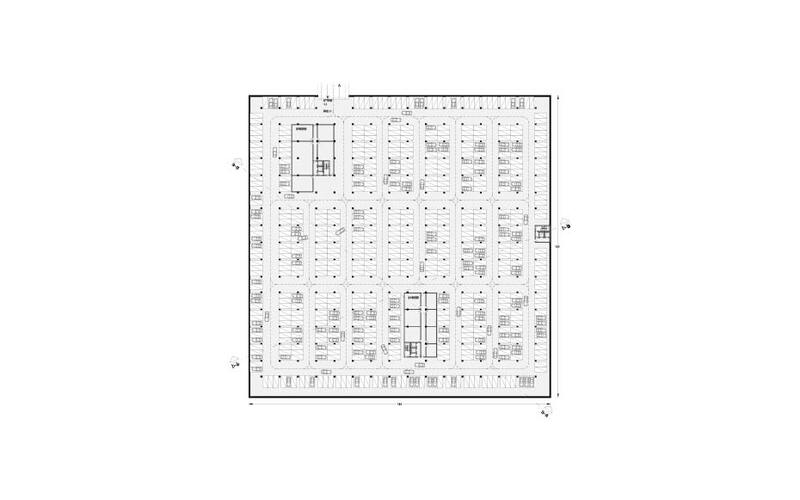 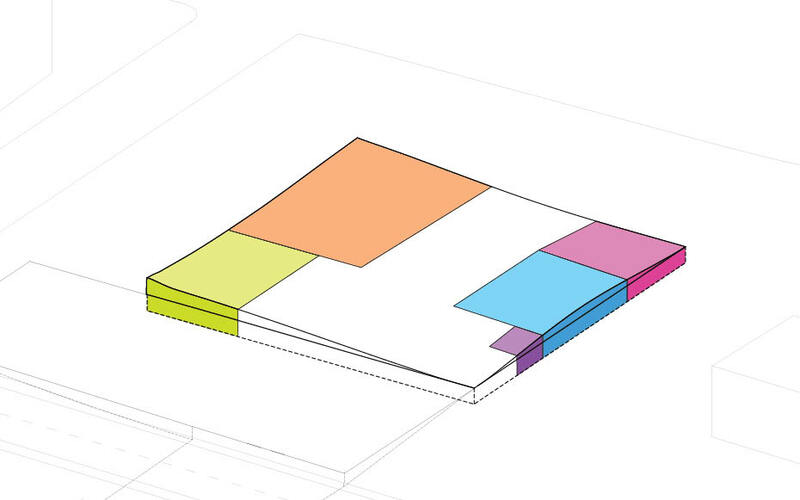 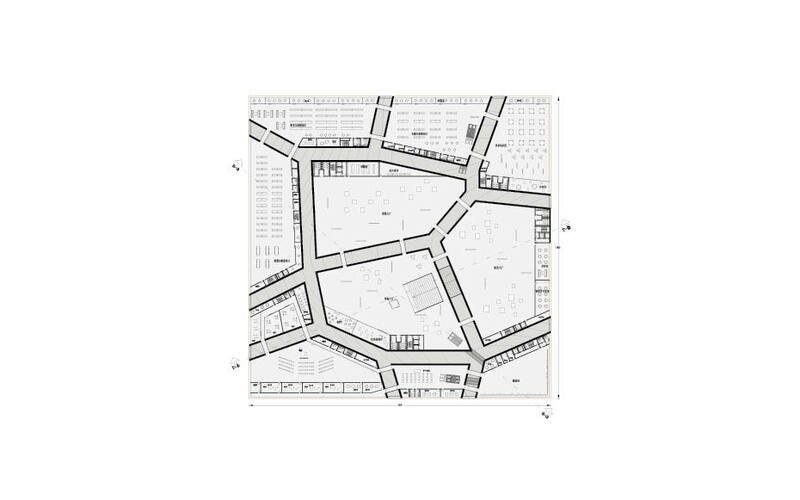 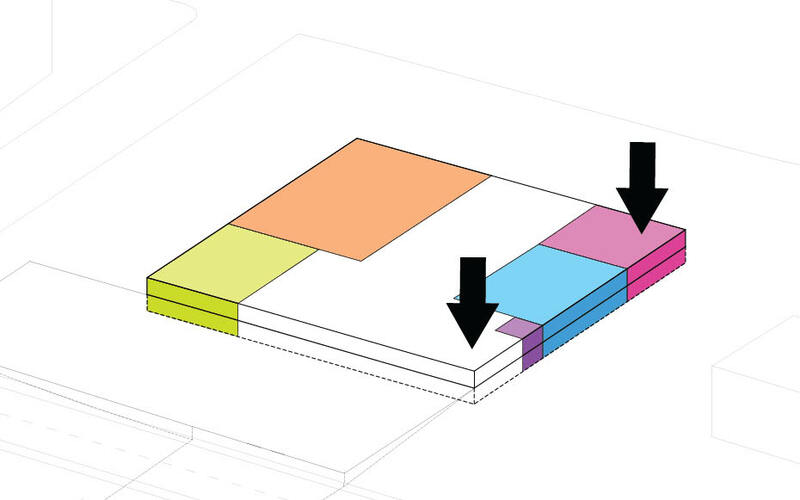 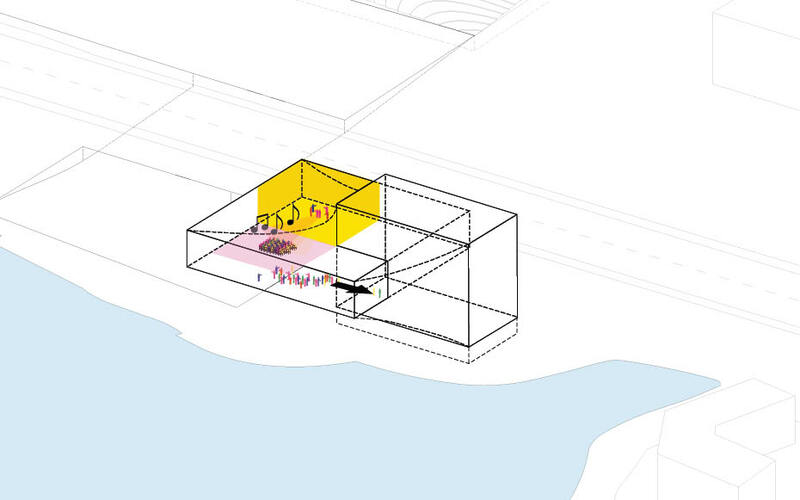 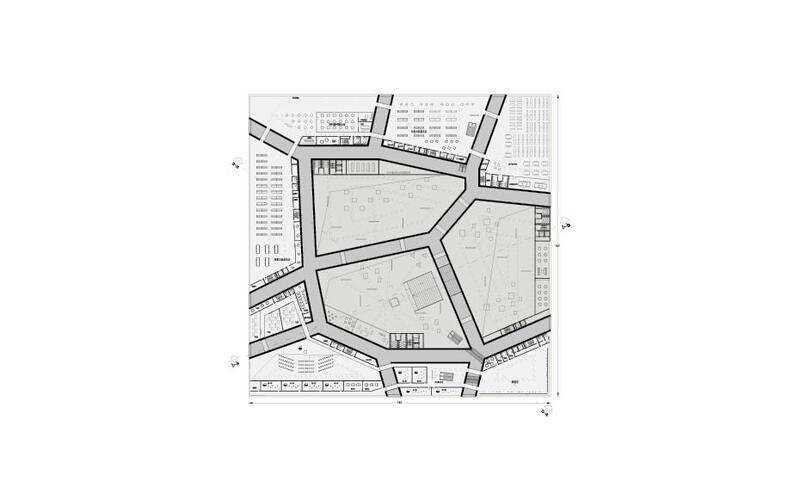 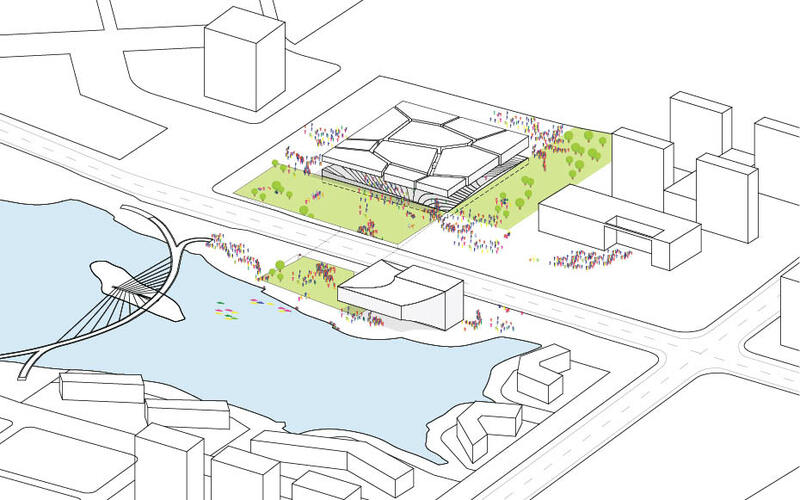 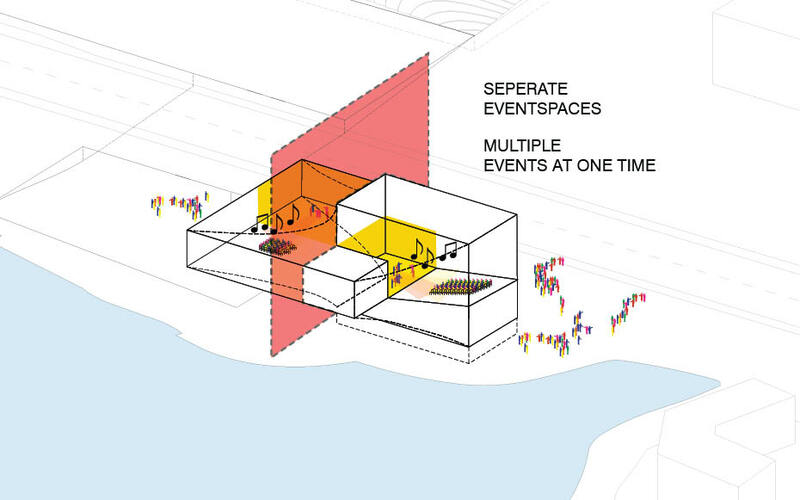 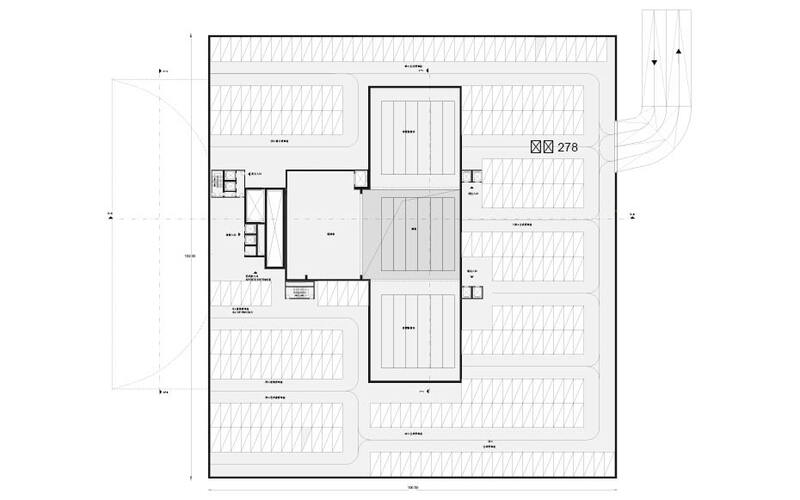 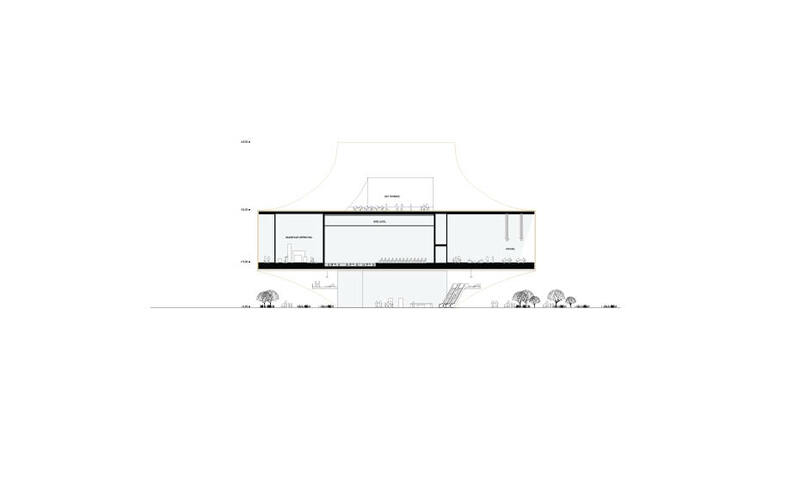 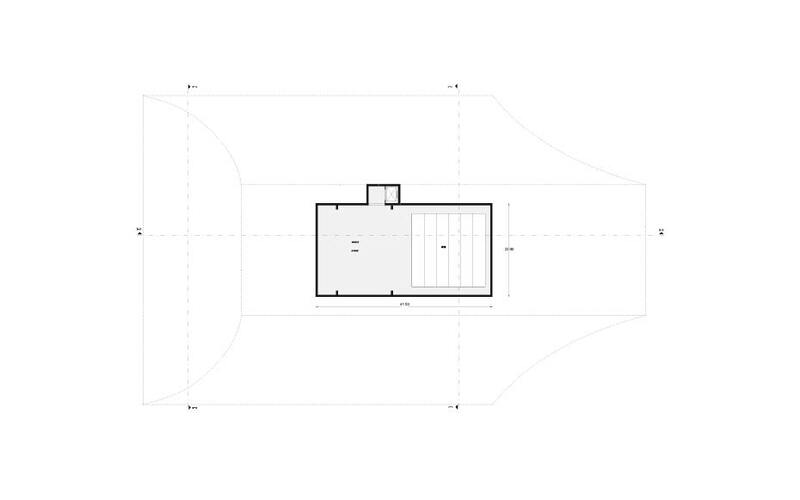 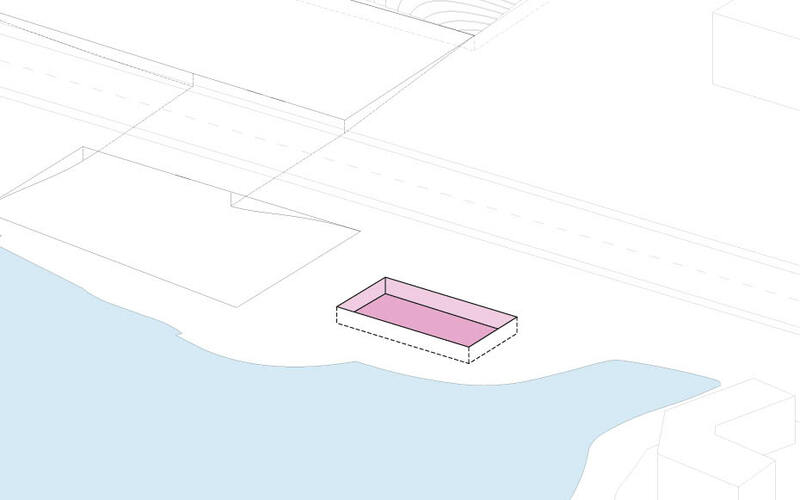 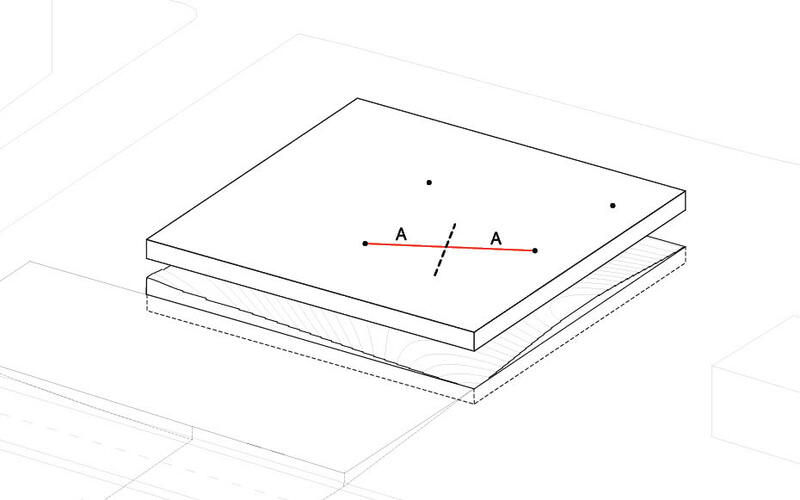 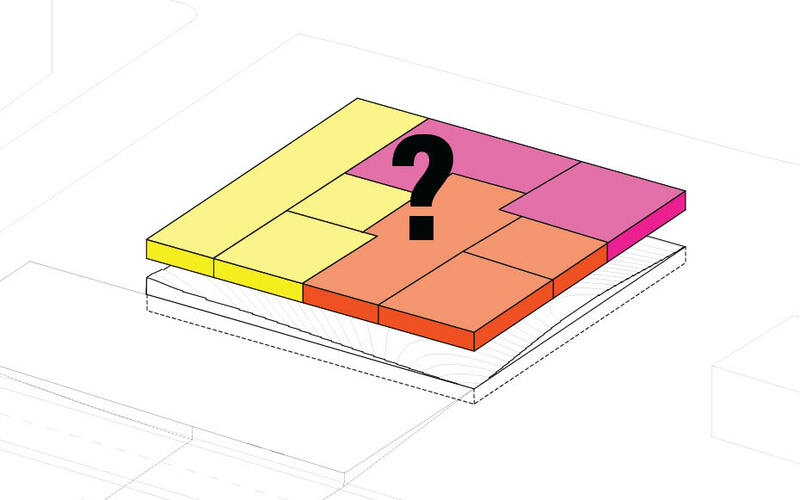 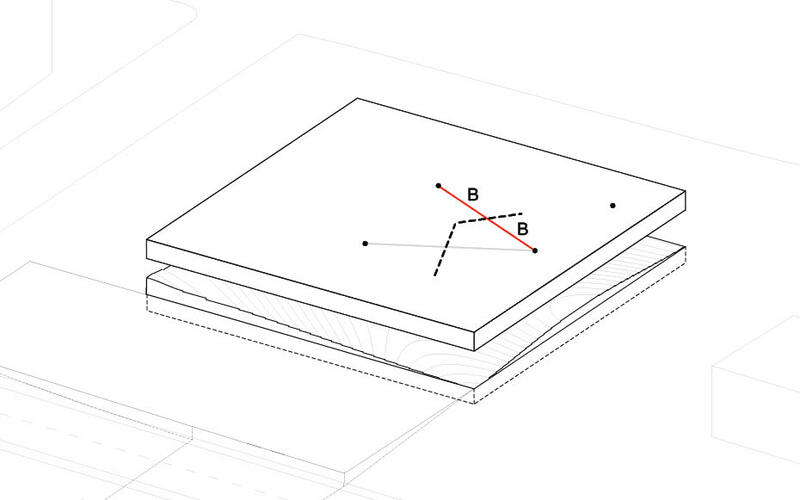 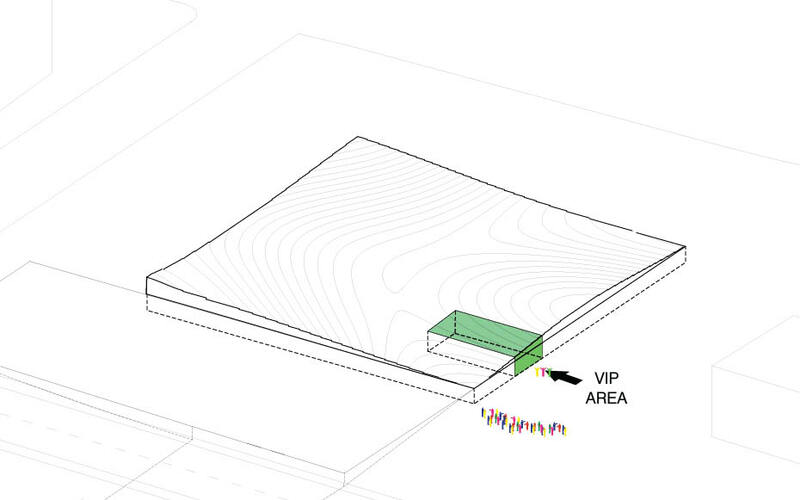 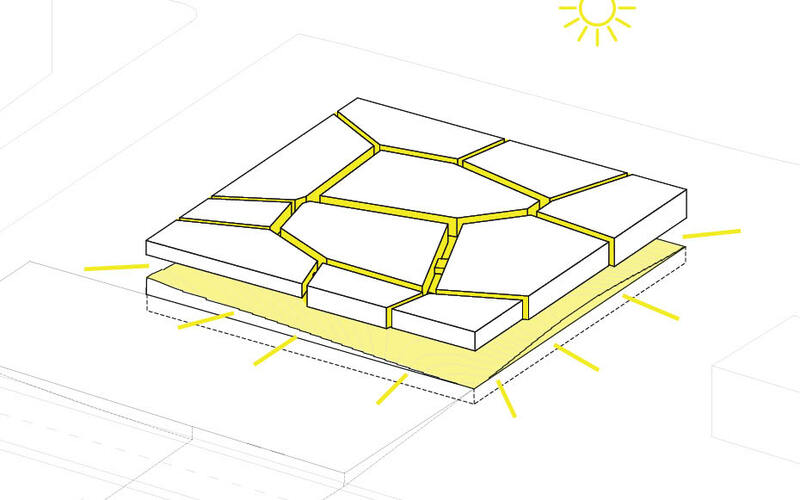 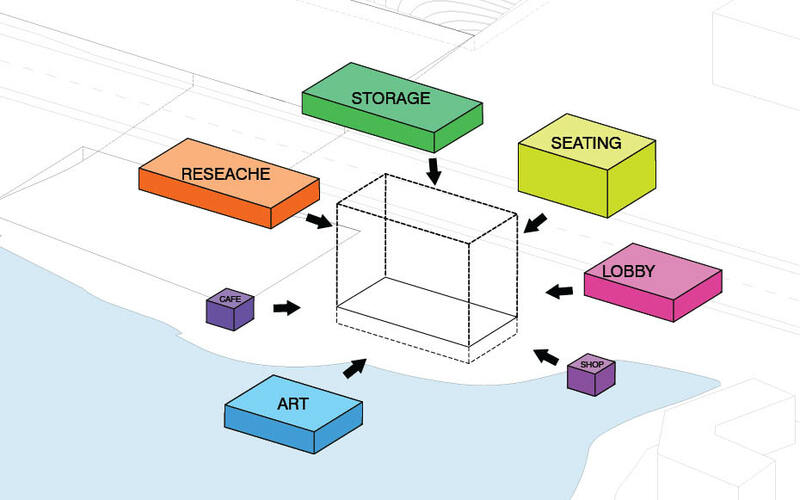 For the cultural complex building, we propose to create a clear programmatic division. 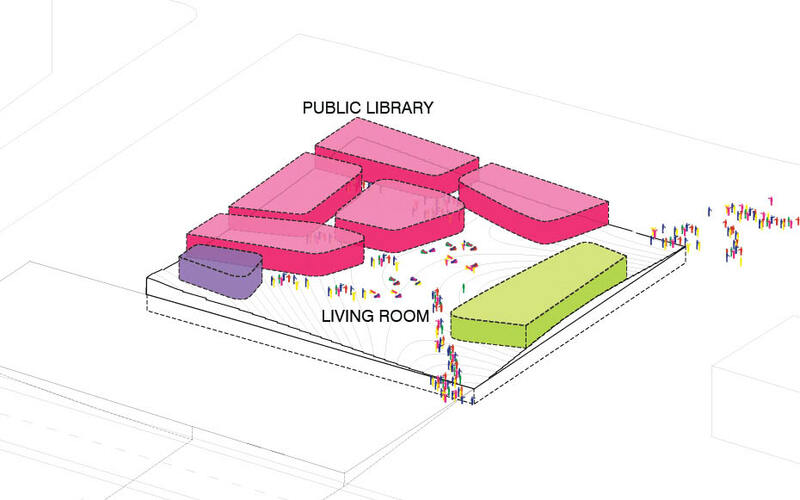 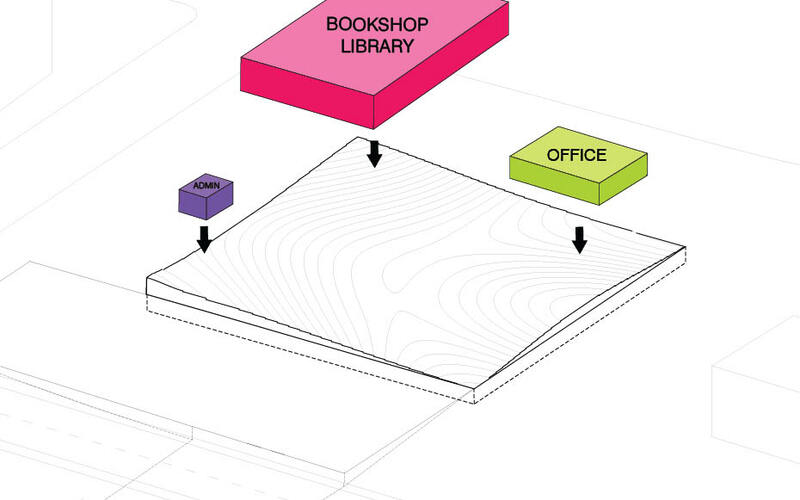 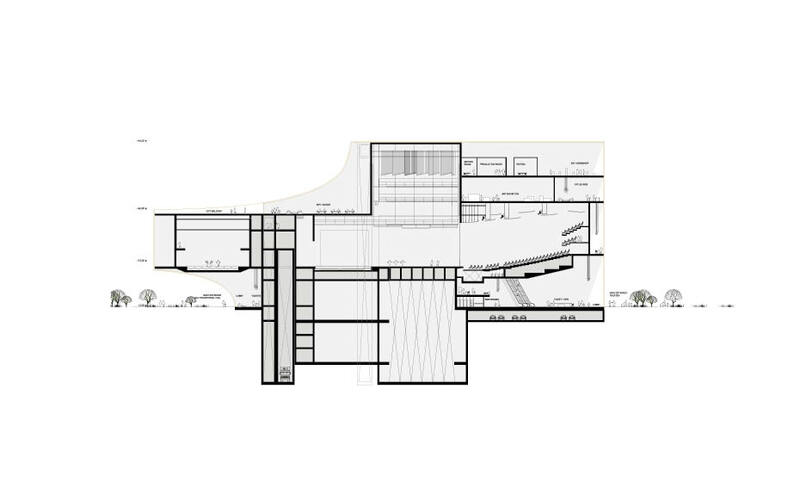 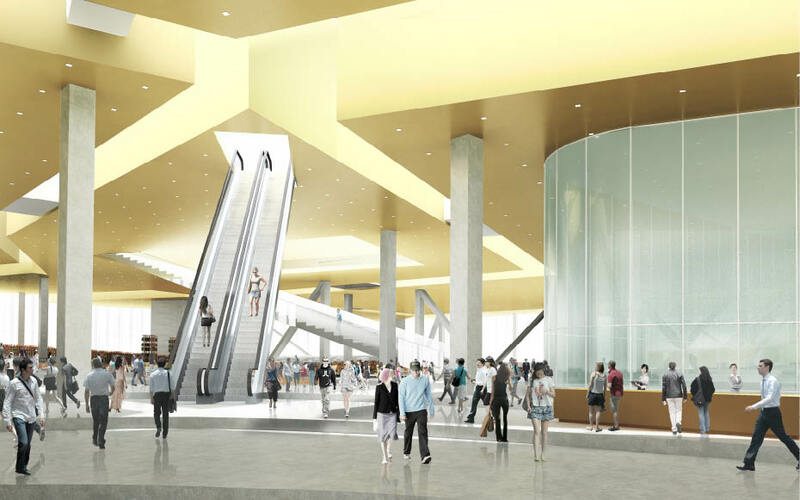 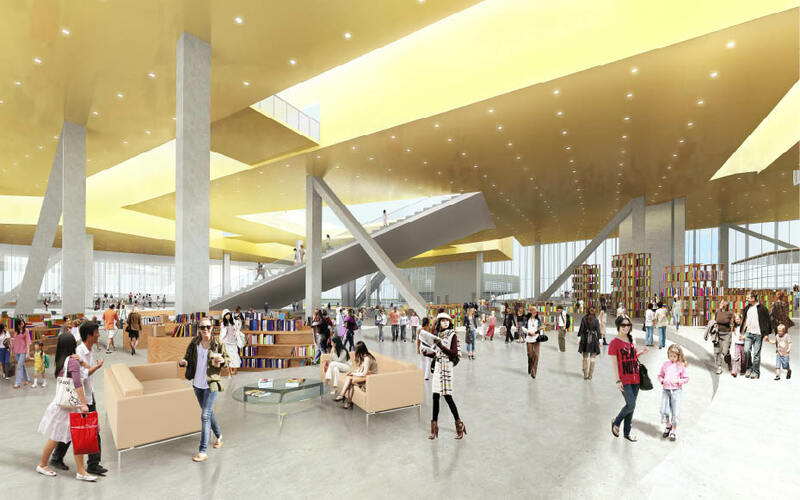 A public living room that functions as lobbies and book shopping center, touches the site to flow visitors in and out of the building. 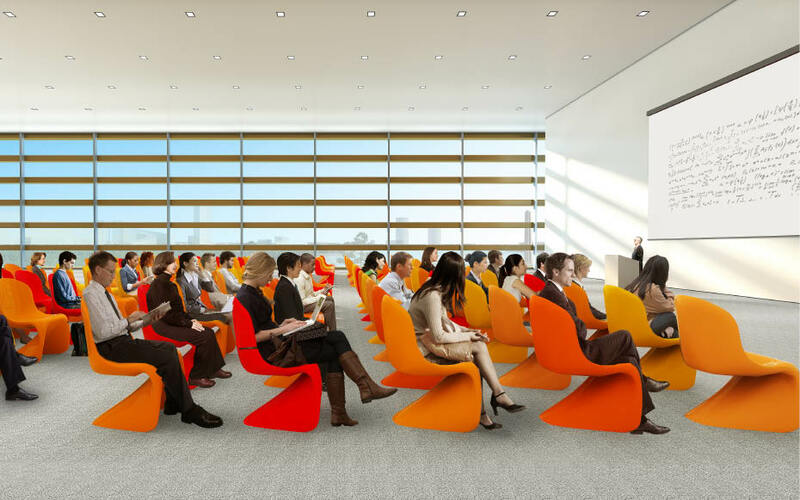 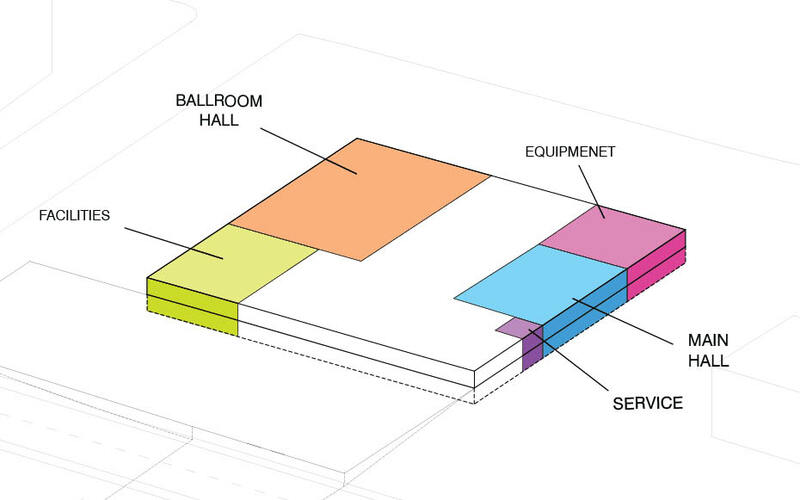 Conference centers, ballroom and basement functions are situated beneath the undulating ground floor carpet. 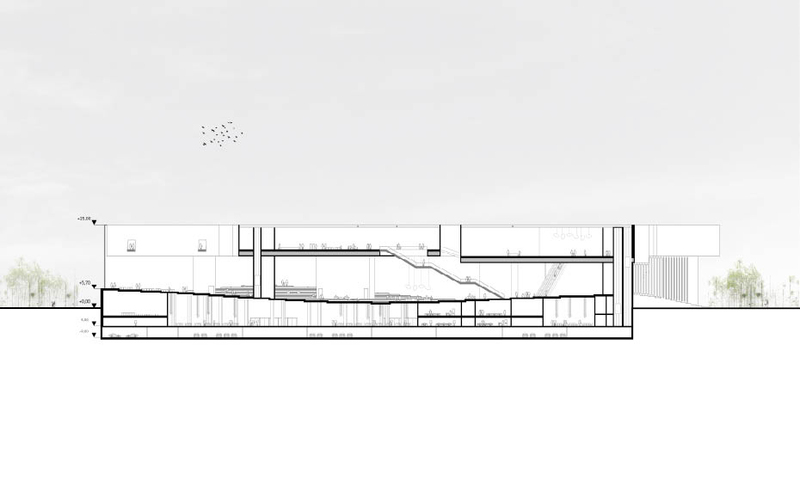 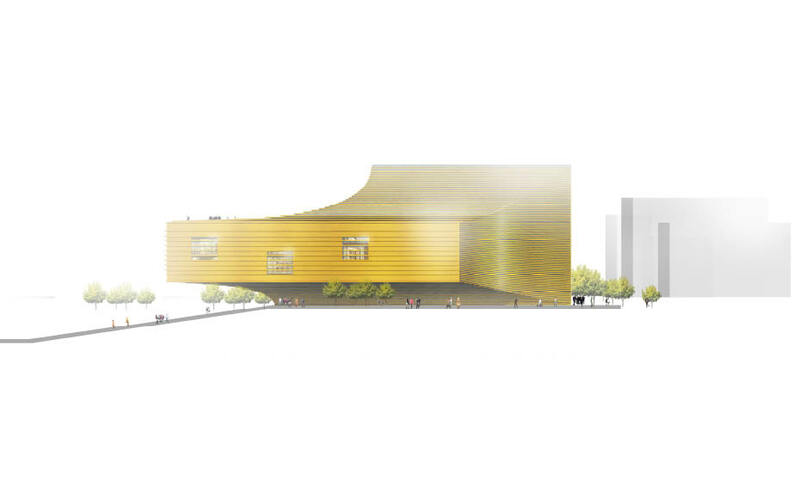 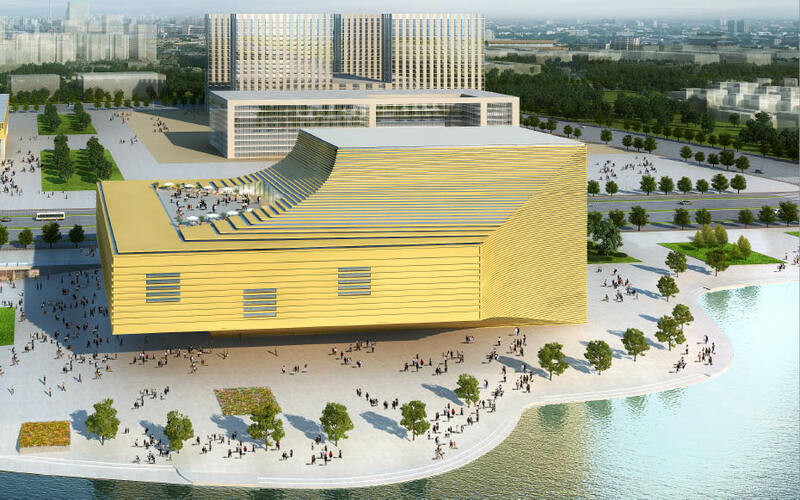 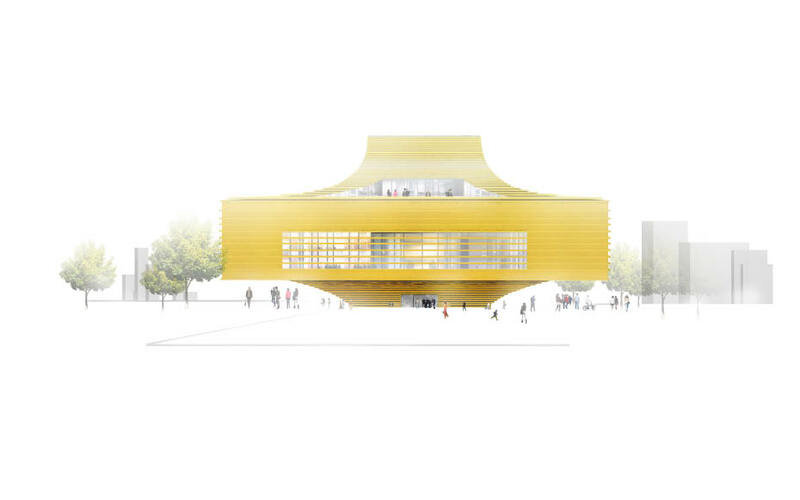 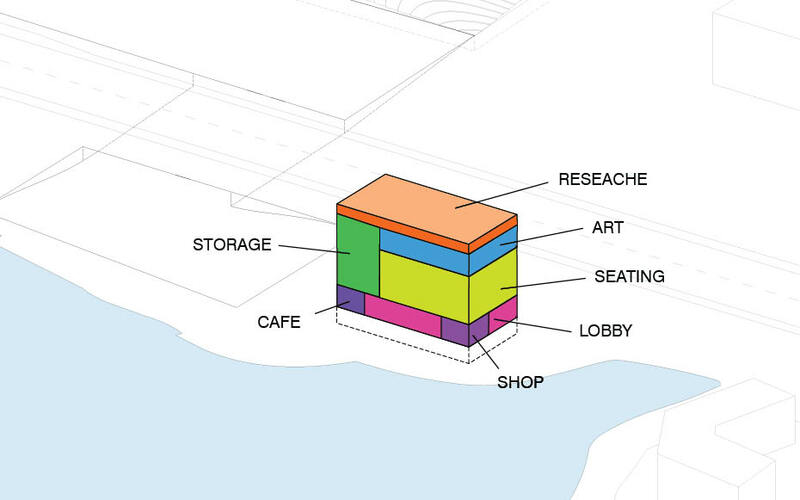 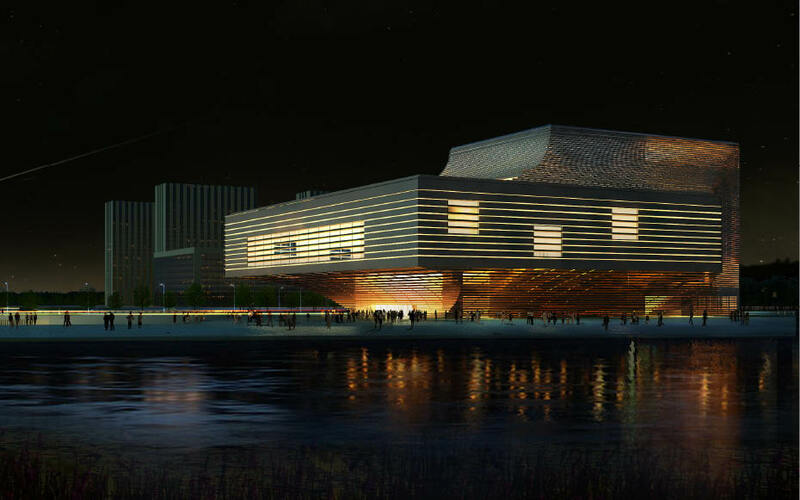 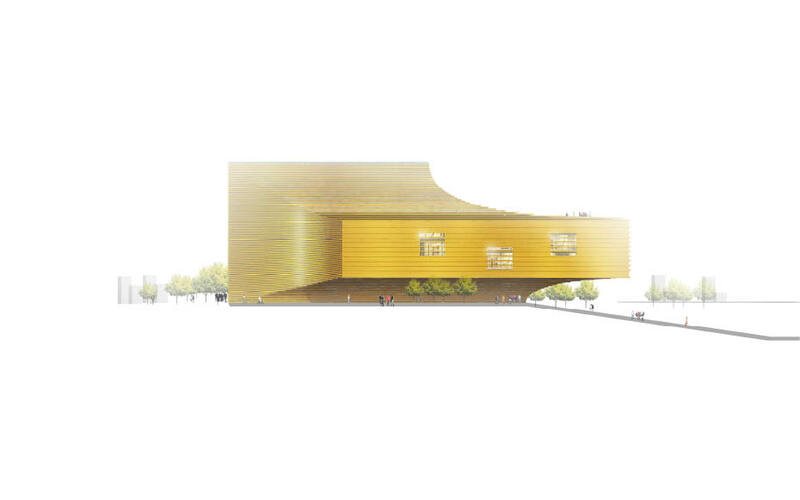 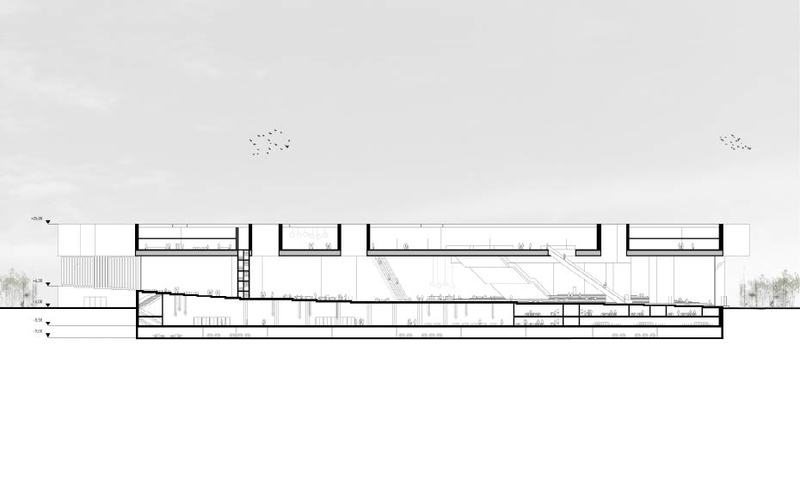 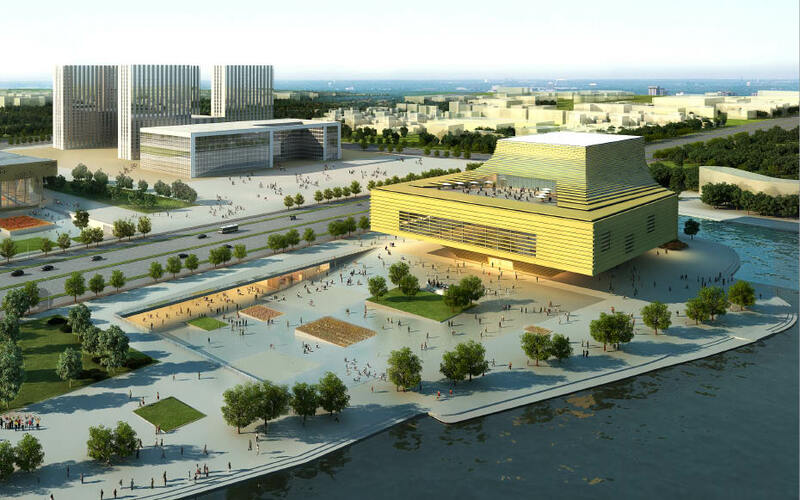 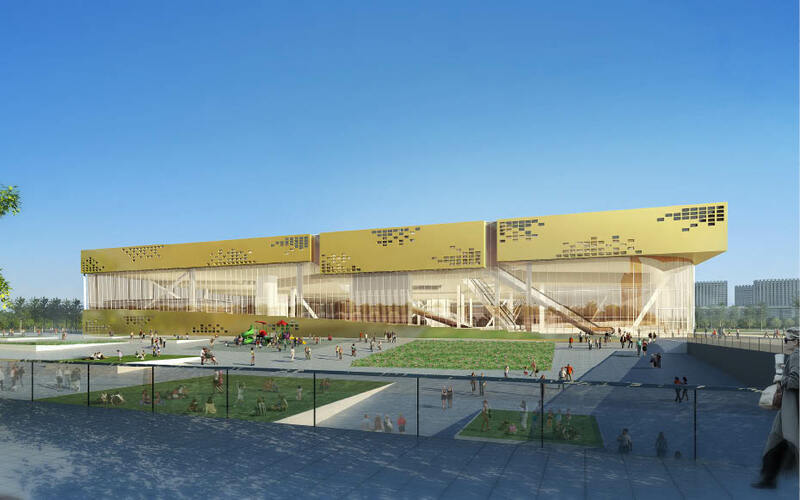 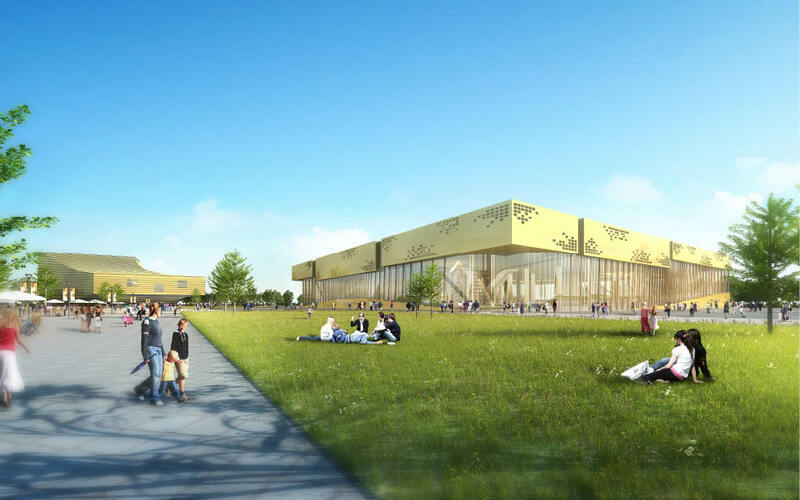 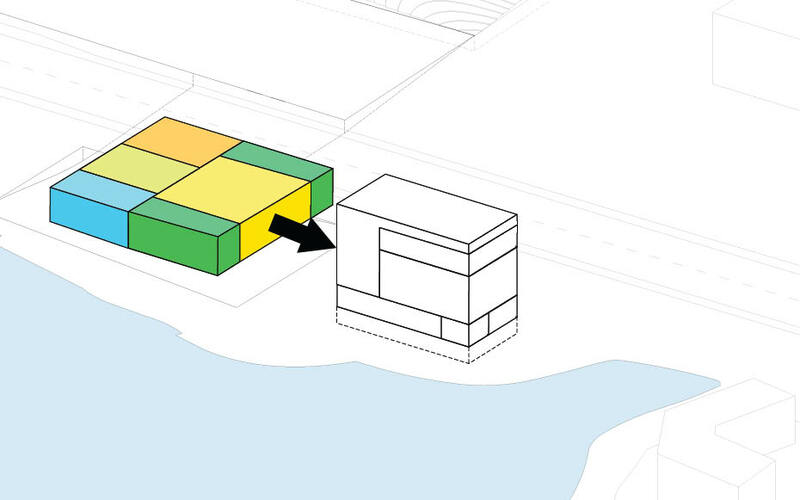 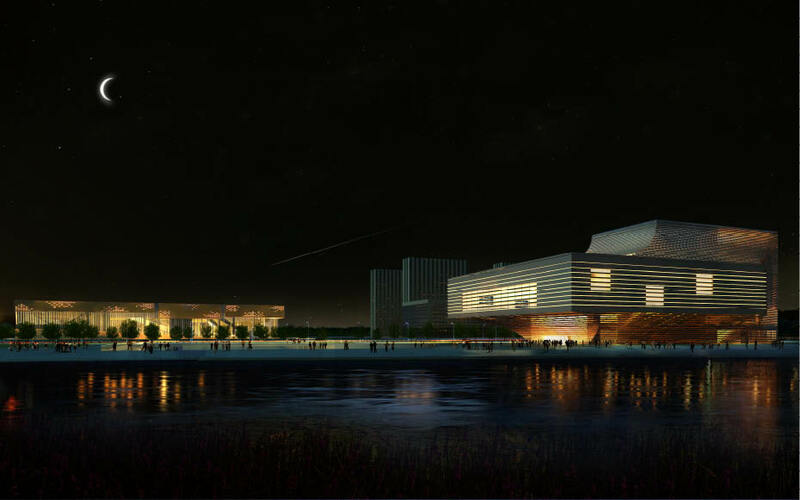 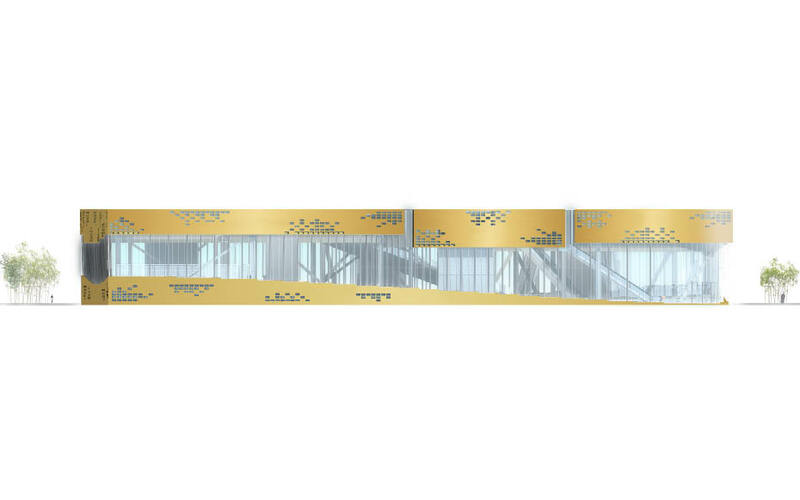 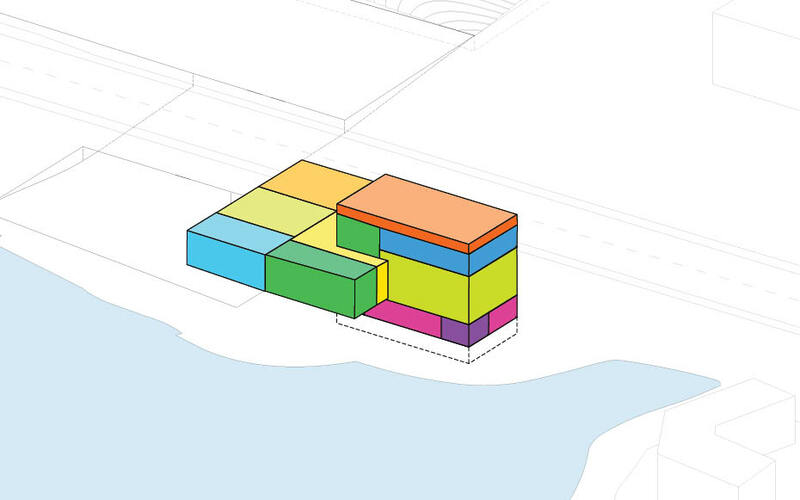 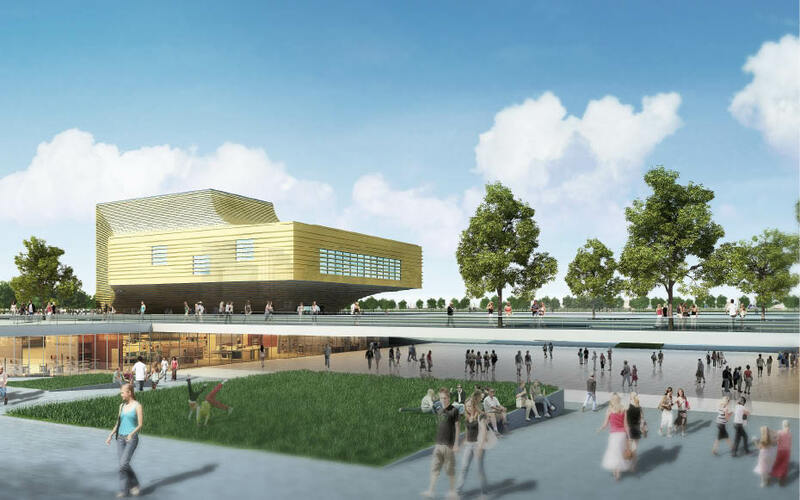 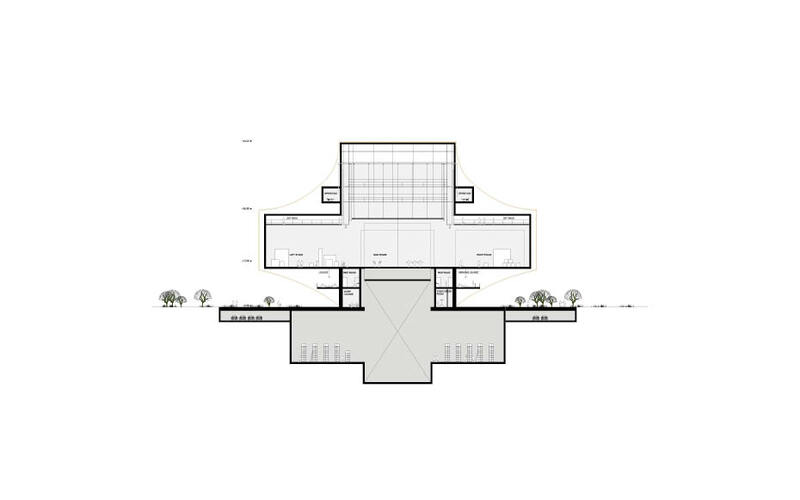 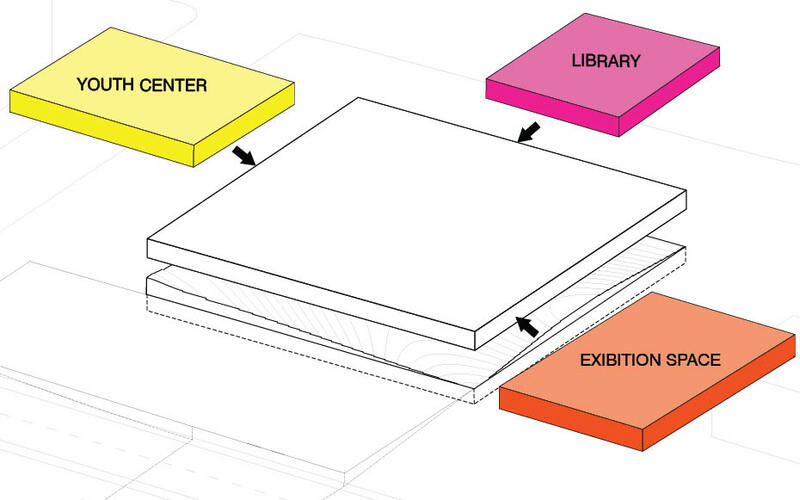 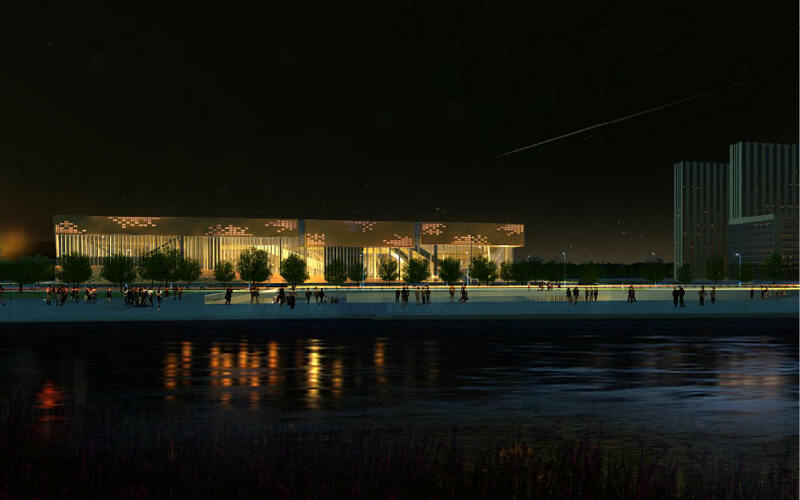 Programs such as tech museum, youth center and library are divided into eleven boxes, floating above the ground floor. 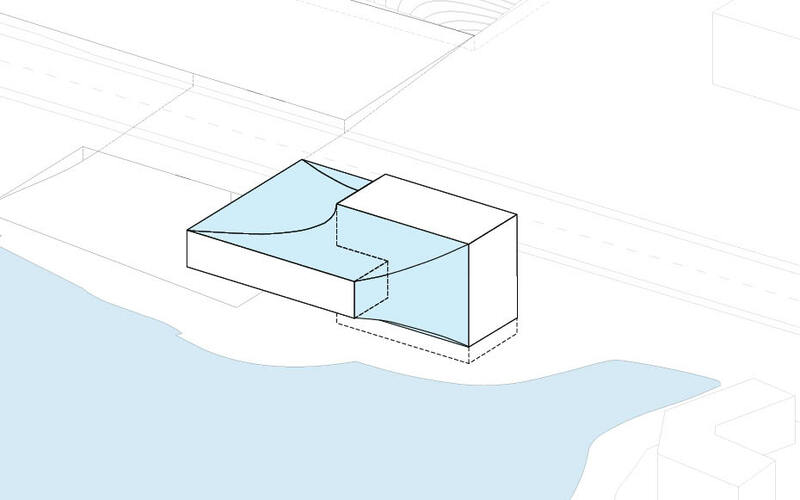 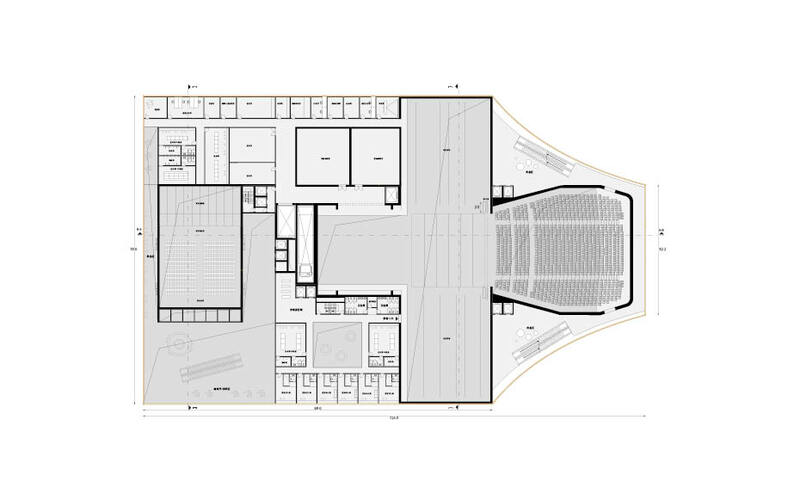 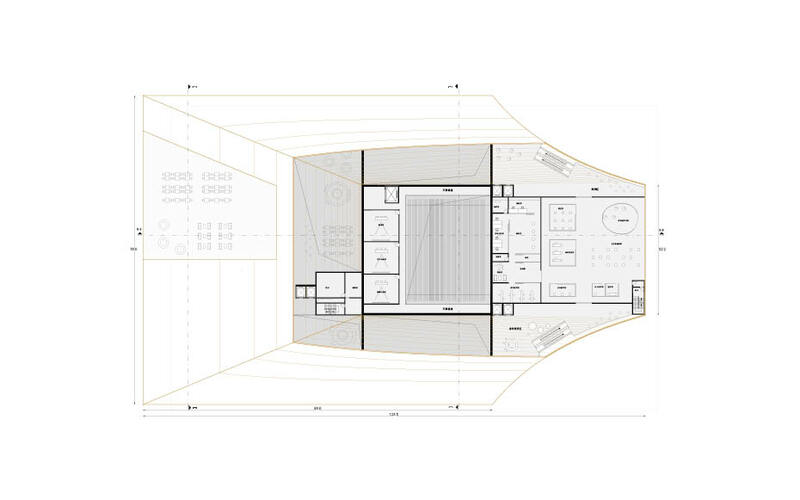 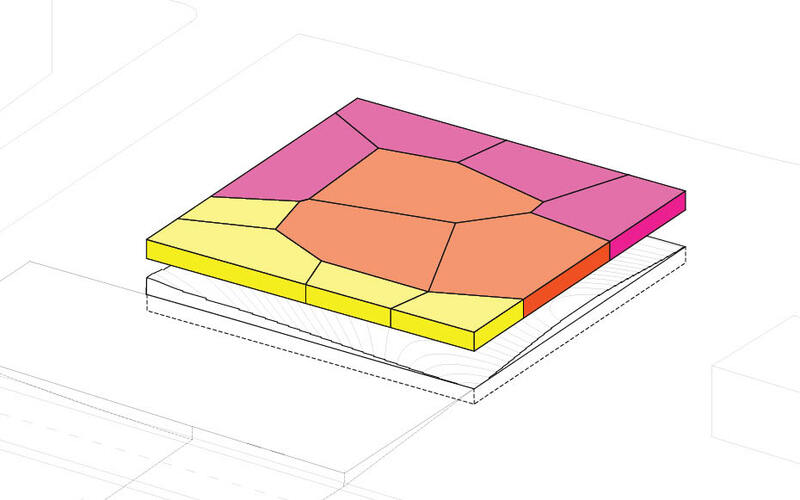 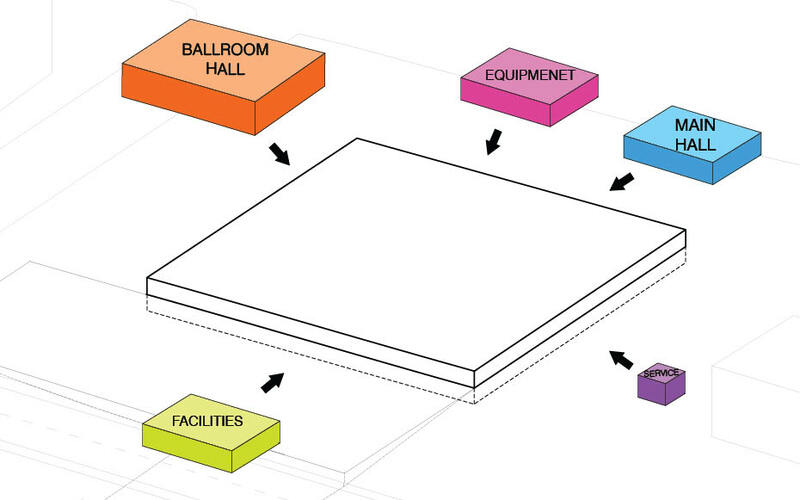 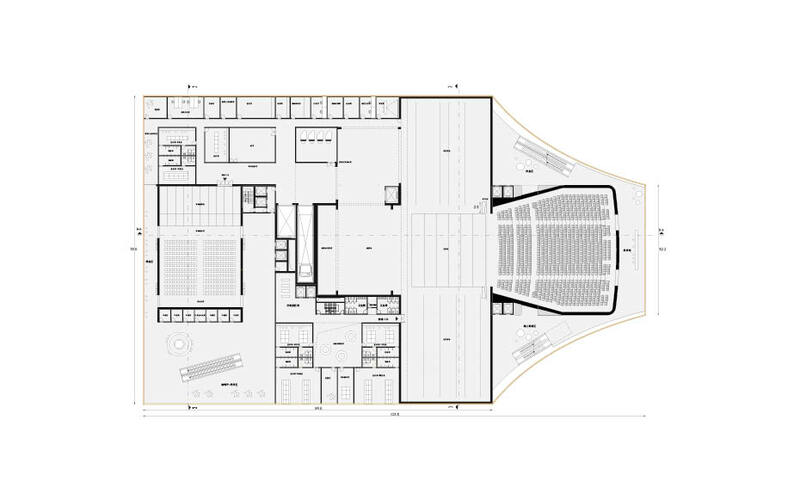 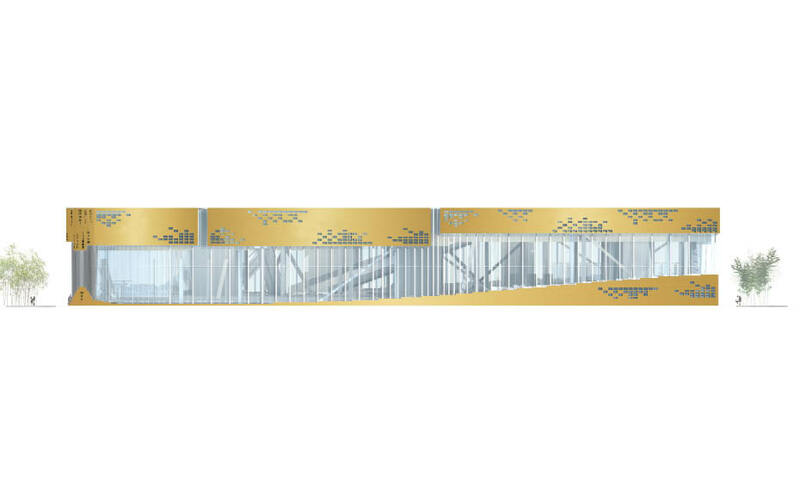 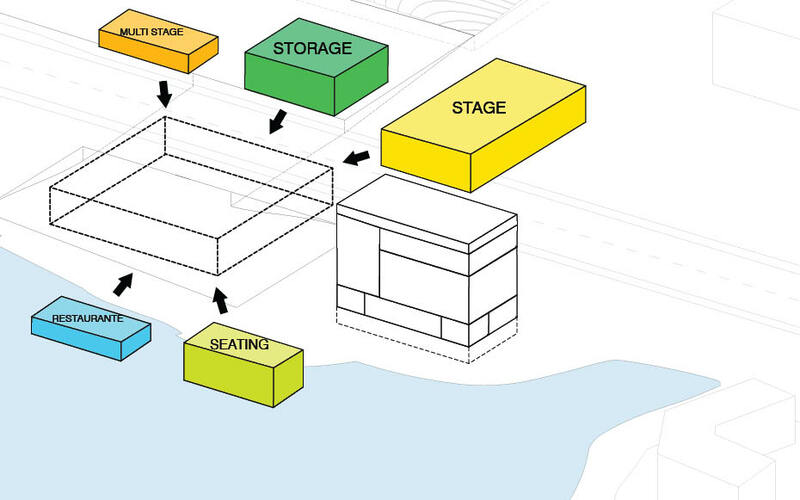 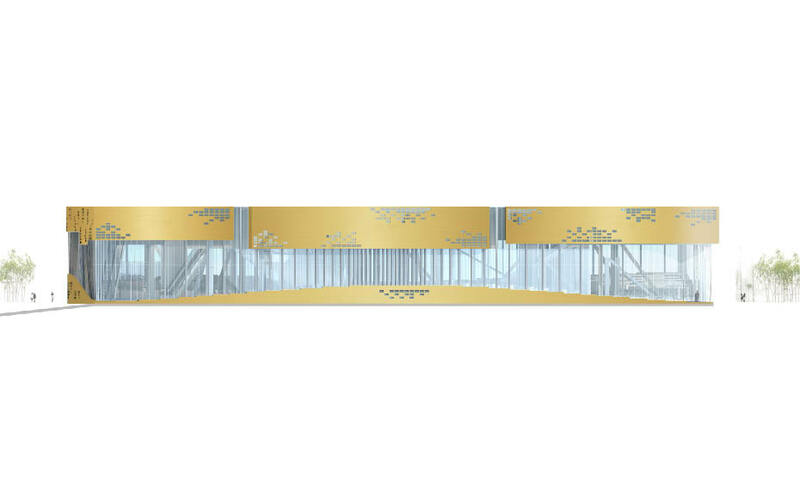 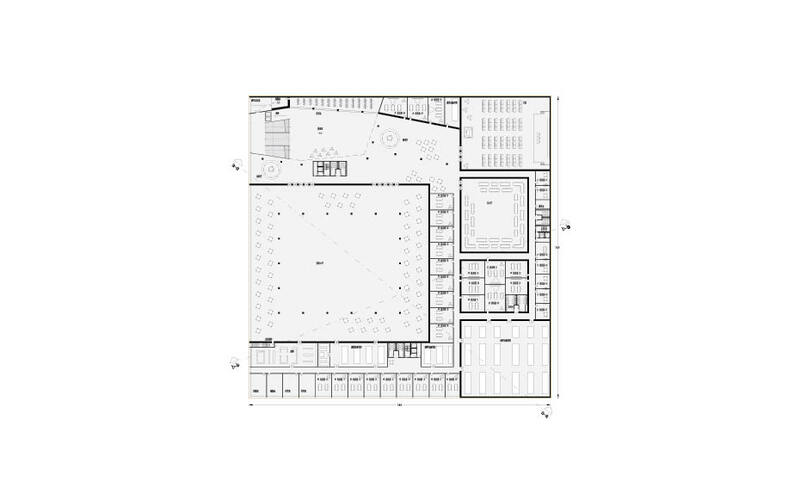 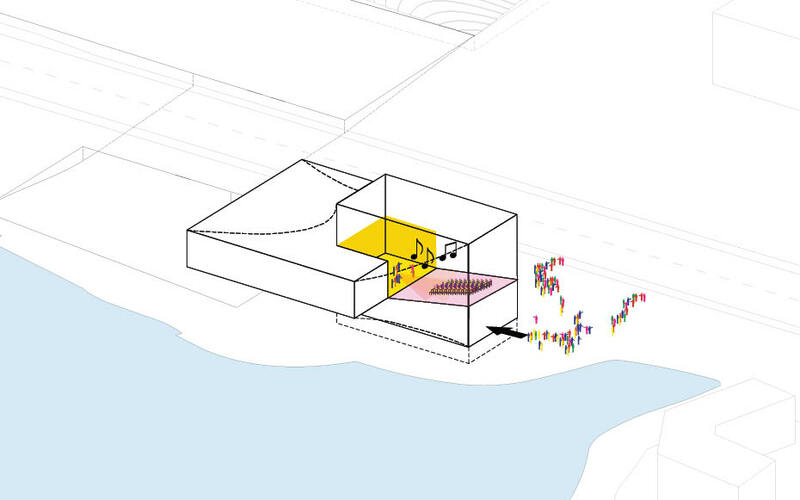 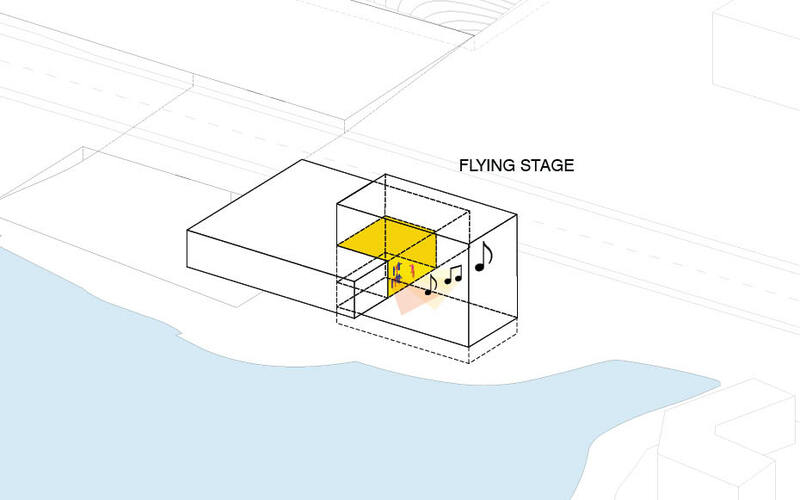 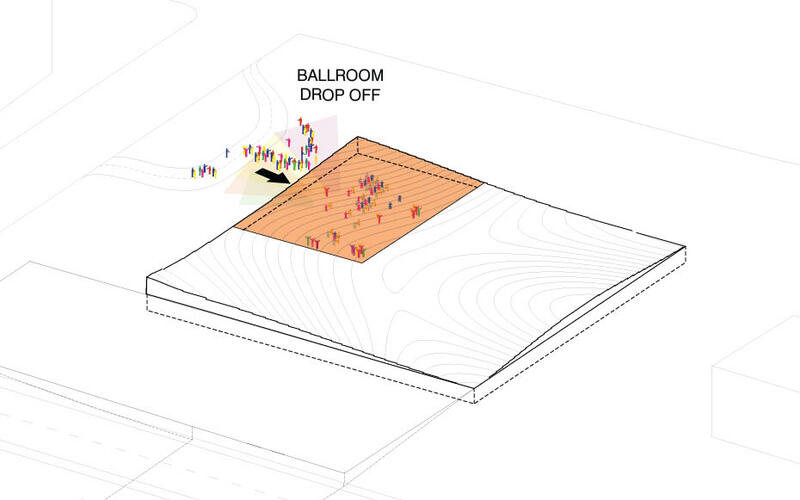 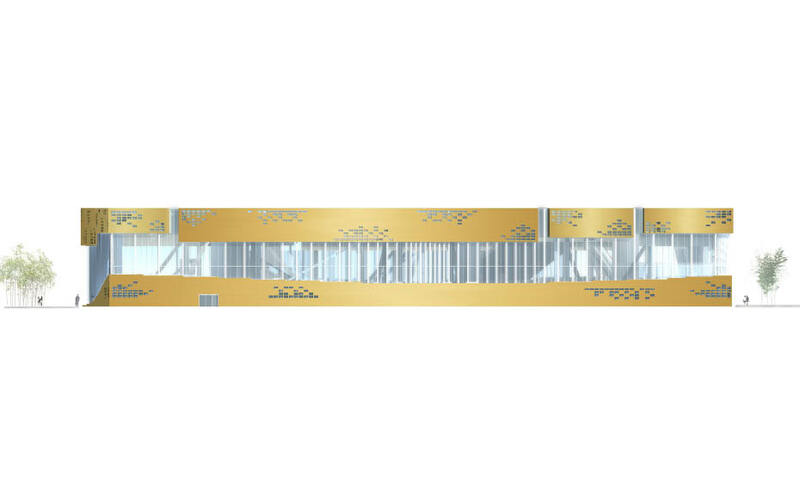 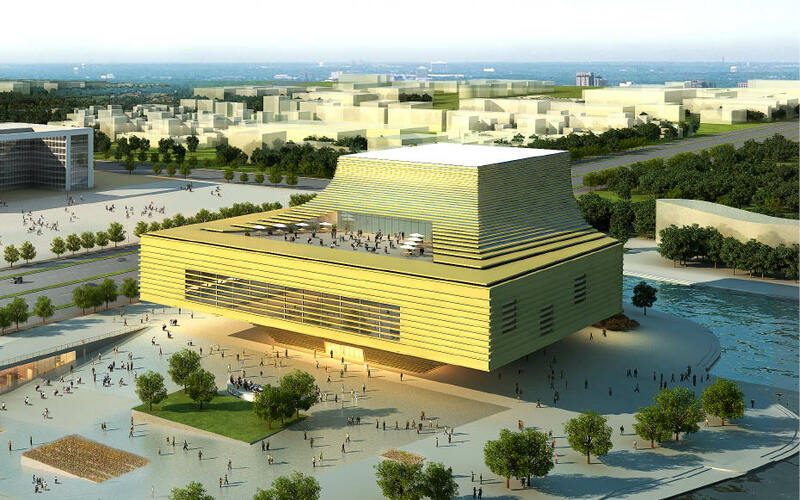 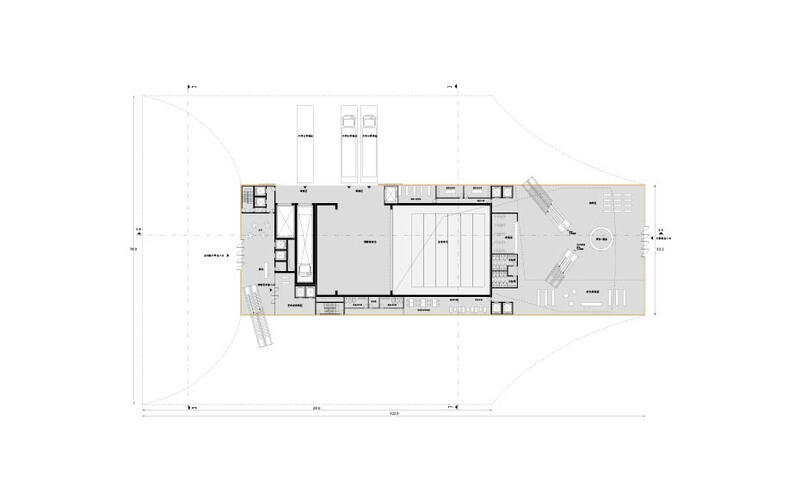 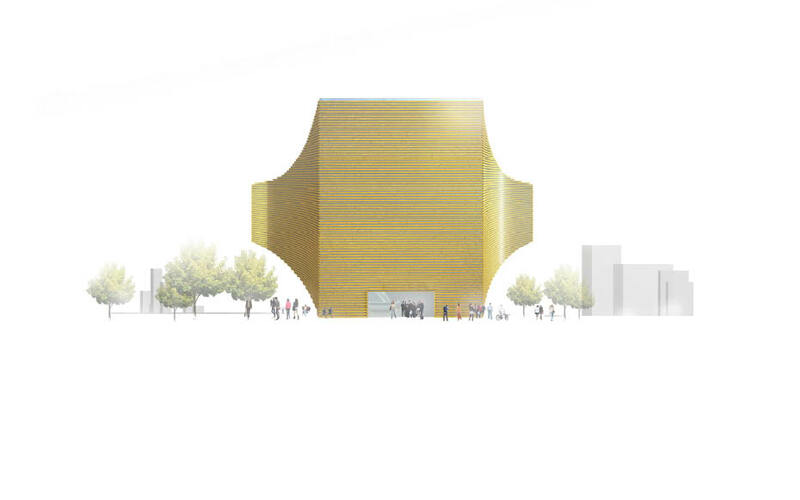 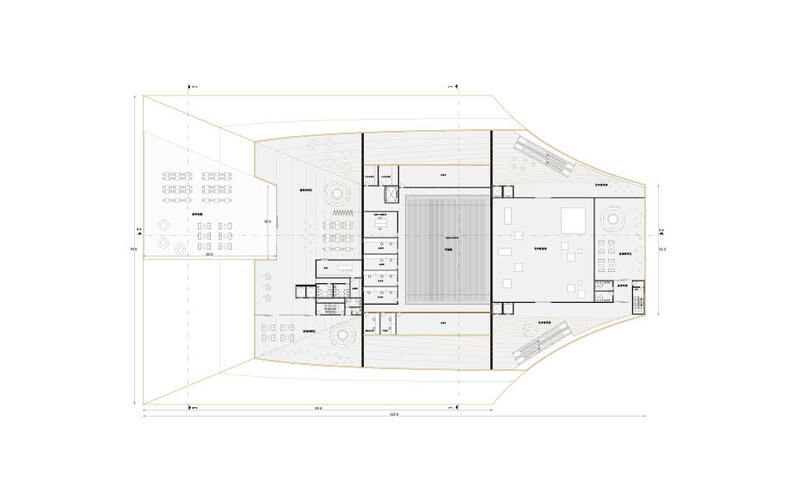 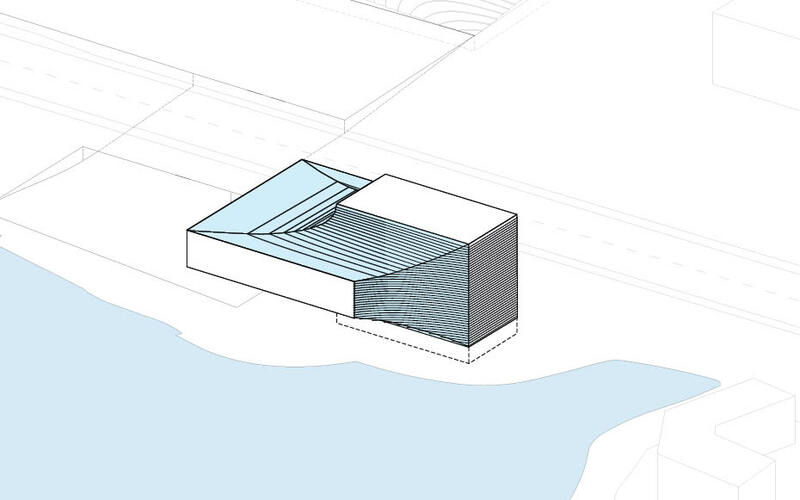 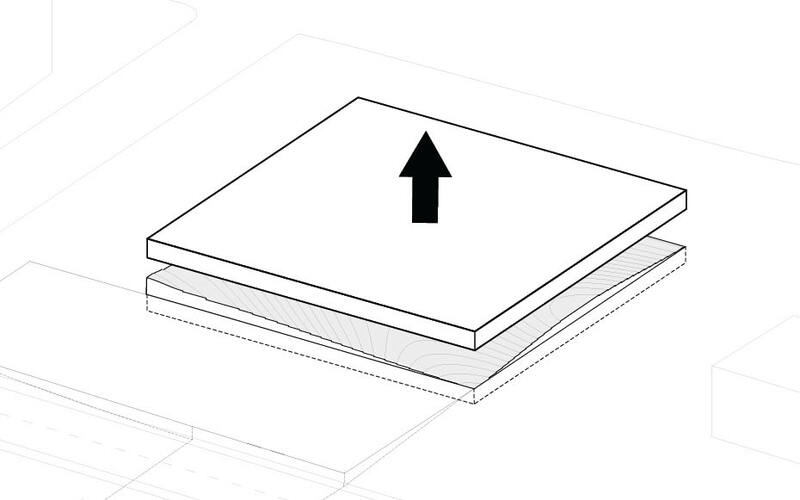 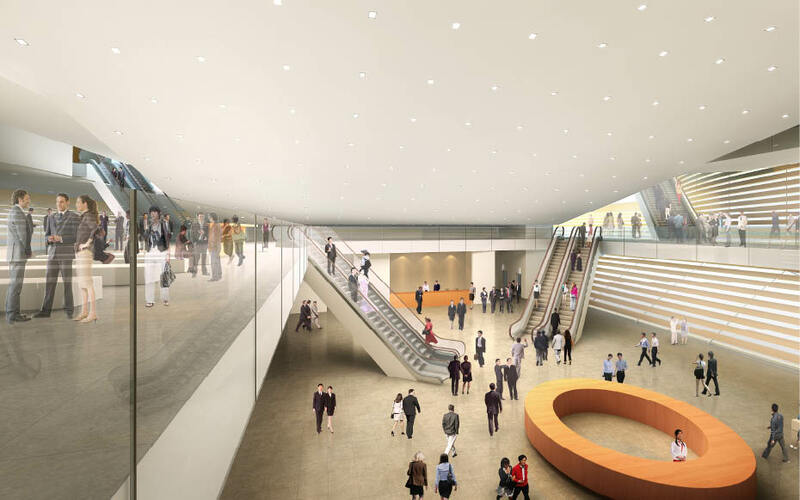 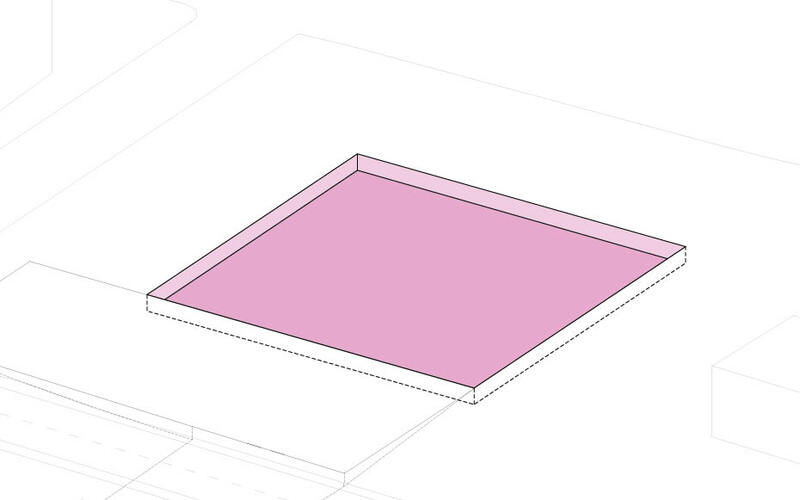 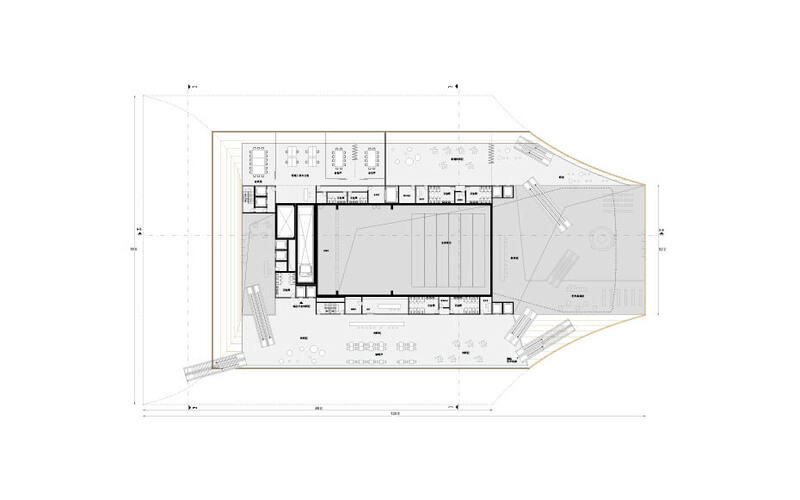 In the grand theater, we propose a flying theater stage to interlock with other functions of the theater. 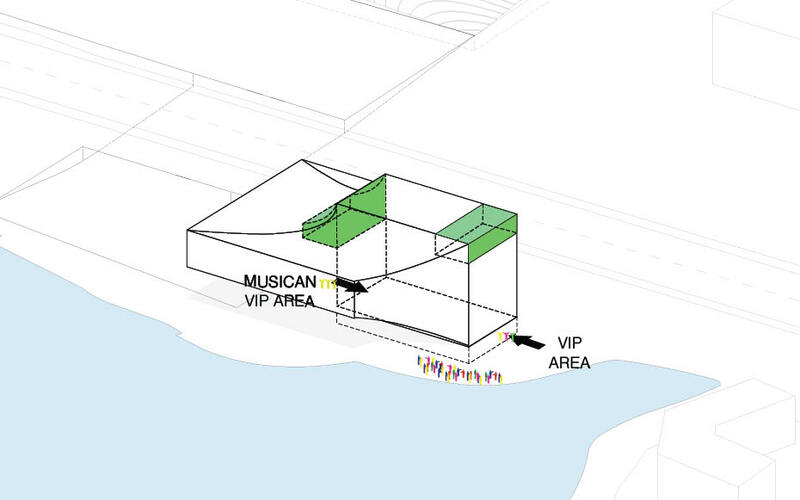 The lobby is located underneath the flying stage, whereas the sky lounge is situated above the stage.